At Salisbury Road Primary we value the diverse backgrounds of all pupils, families and the wider school community. The Department for Education state the need “To create and enforce a clear and rigorous expectation on all schools to promote the fundamental British values of democracy, the rule of law, individual liberty and mutual respect and tolerance of those with different faiths and beliefs”. 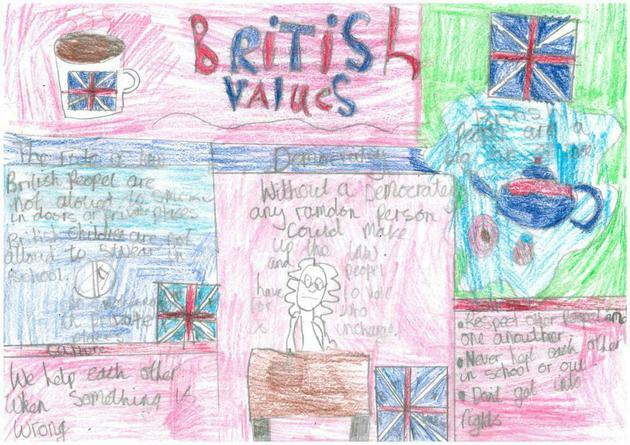 We promote these values through our own school values, curriculum and enrichment activities. The principle of democracy is explored during assemblies, in the wider curriculum and is embedded throughout the Jigsaw scheme of work. All children are encouraged to debate topics of interest, express their views and make a meaningful contribution to class discussions. Our school has an active school council, elected by the pupils. They have a pupil voice in the running of the school and have an active involvement in the selection processes of new staff. 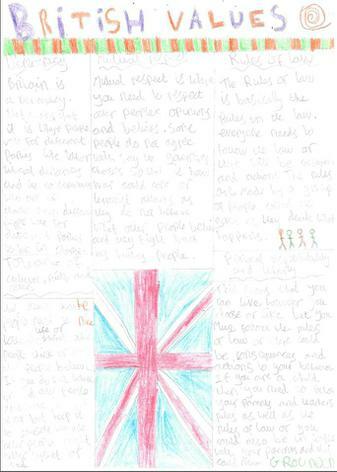 Children also have the opportunity to have their voices heard through pupil questionnaires and surveys. ‘Golden Rules’ are integral to the learning and ethos of our school. There are ‘Judes’ rewards for exhibiting good and caring behaviour and consistent demonstration of our values is recognised through such things as Praise postcards home and ‘Person of the Week’ awards. Pupils are encouraged to respect the law and our pupils enjoy visits from authorities such as the Police, Fire Service, Ambulance etc. to help reinforce this message. The Behaviour, E-Safety and Anti-Bullying policies set out a zero tolerance baseline for any form of aggression, abuse or violence, which extends to pupils, staff and parents/carers. Pupils are encouraged to know, understand and exercise their rights and personal freedoms and are advised how to exercise these safely. Pupils are supported to develop their self-knowledge, self-esteem and self-confidence. They are taught about personal responsibility, choices, ambition and aspiration. Pupils are encouraged to take opportunities to follow their interests in art, music, sport etc. Pupils are taught about the importance of making the right choices and are encouraged to take responsibility for their behaviour and actions. Children are taught how to keep themselves safe, including on-line. This is through computing lessons, assemblies and outside organisations such as the NSPCC, as well as through the PSHE curriculum. Vulnerable pupils are protected and stereotypes challenged. A strong anti-bullying culture is embedded in the school and any form of bullying is challenged and addressed. The school also operates a robust system of logging incidents. Pupils have key roles and responsibilities in school e.g. Play Leaders and School Council. Through daily practice, pupils know and understand that it is expected that respect is shown to everyone: adults and children. The curriculum ensures that pupils are helped to acquire an understanding of, and respect for, their own and other cultures and ways of life. Staff and pupils are encouraged to challenge prejudicial or discriminatory behaviour. Links and visits are promoted with local faith communities and places of worship. E.g. Members of different faiths or religions are invited to school to share their knowledge and enhance learning within assemblies and in class. Through the PSHE (Jigsaw) and RE curriculums pupils are encouraged to discuss and respect differences between people, such as differences of faith, ethnicity, disability, gender or sexuality and differences of family situations. Assemblies and discussions involving prejudices and prejudiced-based bullying have been followed and supported by learning in e-safety, RE and PSHE. 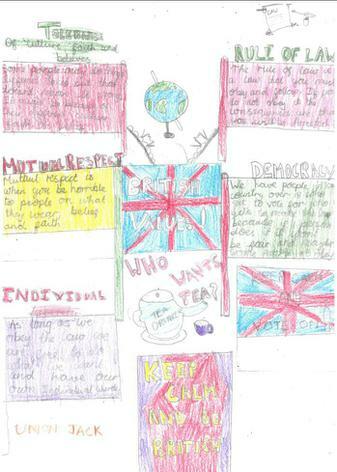 Through PML and International Schools pupils are taught to respect other cultures and broaden their understanding of the traditions of different nations.